Truchard Vineyards is located in the Carneros district in southern Napa Valley. 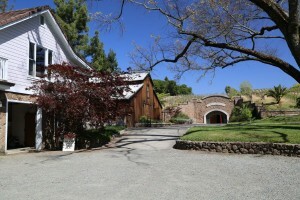 The vineyards and winery were founded by Tony and Jo Ann Truchard in 1974 (both Texas natives). 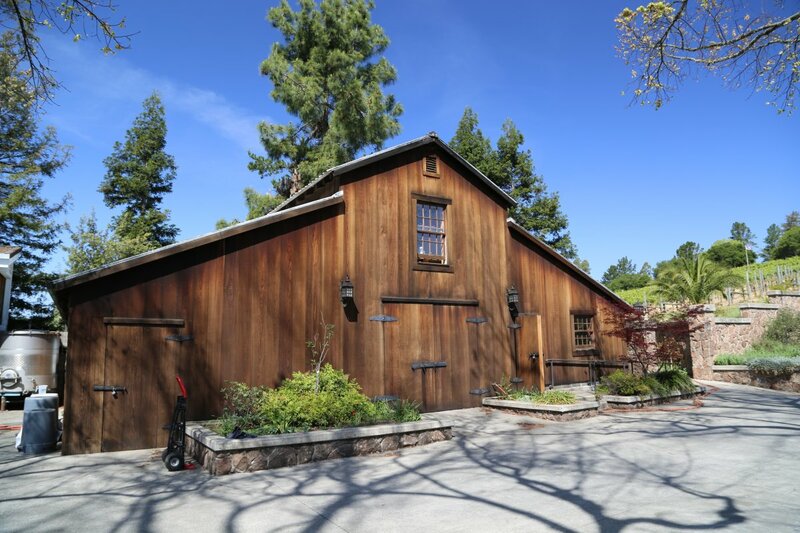 They sold grapes exclusively until 1989 when they began making their own wine. They prefer to think of themselves as a “big vineyard with a small winery” – the reasoning behind this is they carefully hand craft small production lots of each of the wines they make – yet sell a number of grapes to other well regarded producers. In the early 1970’s both Tony and Jo Ann would never have suspected the path that life has led them to today. During a quick visit with Jo Ann she told us the story of how she slipped on a grape while pregnant with their son John. She fell and broke her knee and had to have a cast put on her leg. This was just before Tony was set to ship out to South Korea where Tony was going to be stationed for two years (medical service in the US Army). After her accident, the army changed their plans for the Truchards and sent them to the far northern reaches of California. 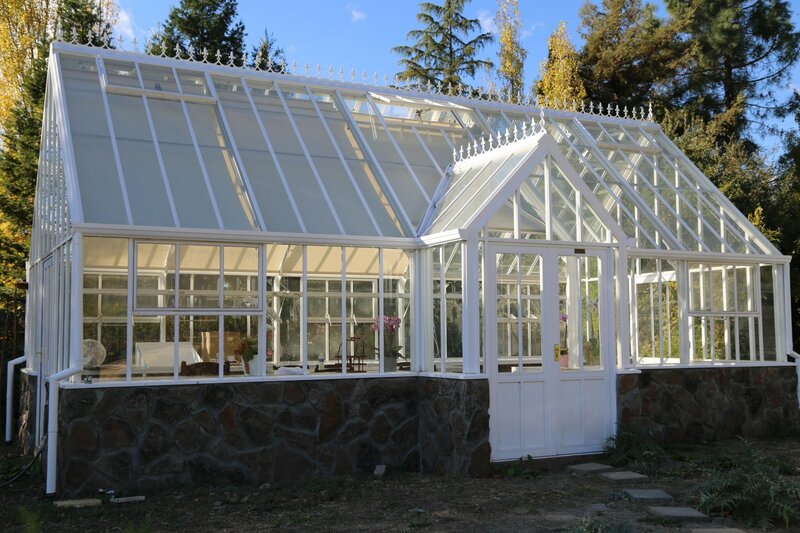 While stationed in Susanville John suggested they take a trip to the Napa Valley – they fell in love with the area, purchased land in Carneros. 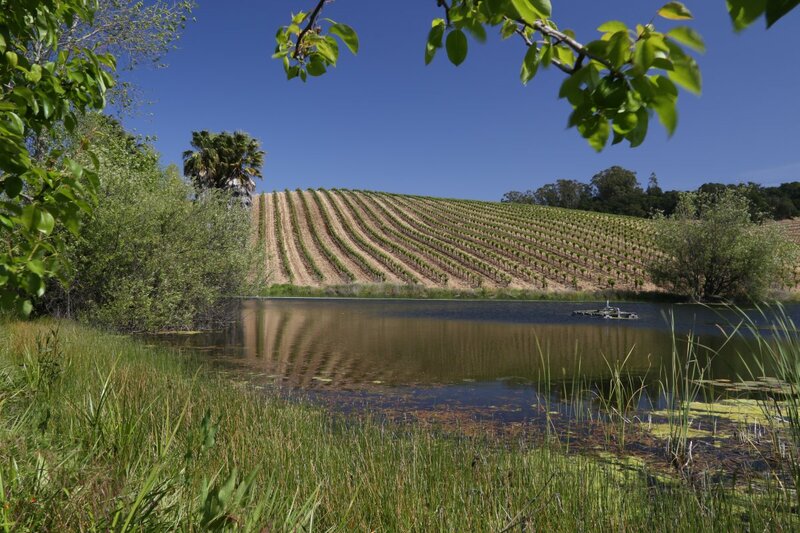 Their initial purchase has grown to more acreage; today Their vineyard is planted with approximately 280 acres of vines (certainly a sizable vineyard for the Carneros region). They selectively pick certain blocks for their own wine making program each year – resulting in only approximately 20% of their total grapes. 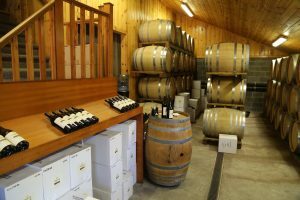 The Truchard’s are getting up in age but remain very active with the winery and we have often seen them at trade tastings (pouring their own wines rather than hiring other people to do this). One of their sons, Anthony Truchard II is now the General Manager. And their other son John as Jo Ann puts it “owes his career in part to the slip on the grape”. John has gone on to have an extremely successful career in the Napa Valley founding his own vineyard management company and even more remarkably, founding JAM Cellars and growing it to a wine powerhouse in a relatively short amount of time. 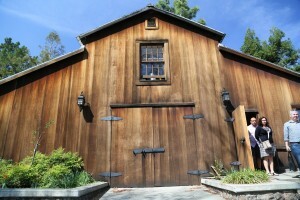 The winery is located within a 100+ year old restored barn. 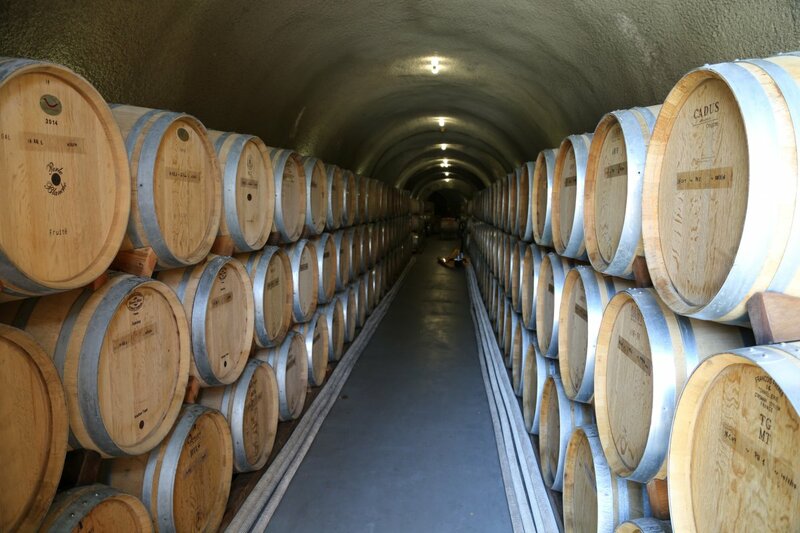 A series of wine cave tunnels are located within the hillside directly underneath part of their vineyard (unlike other wineries that rent out space to custom crush clients, Truchard uses all of their production space for their own wines). Steps lead up to one of their vineyard rows – a walk down these rows will shortly lead one to a picturesque pond surrounded by vines and excellent views of the rolling hills in all directions. 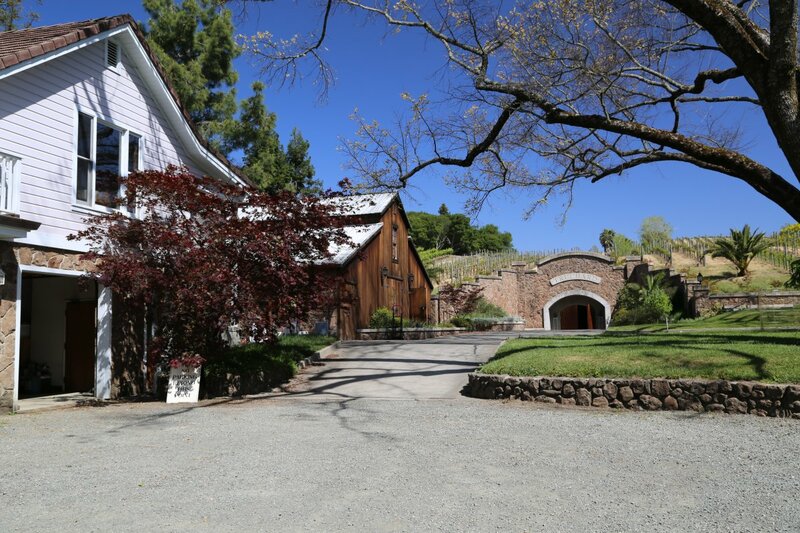 The Truchard’s live on site and either they, their long-time winemaker or one of their hospitality hosts will typically show you around and conduct the tasting. 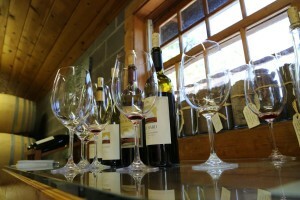 Tastings are held in a small room next to the winery and are highly personalized. 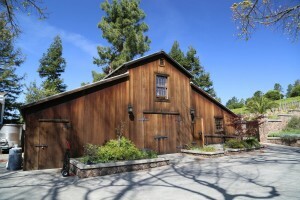 Guests will visit their wine cave and if the weather permits enjoy part of the tasting outside at a picnic table. 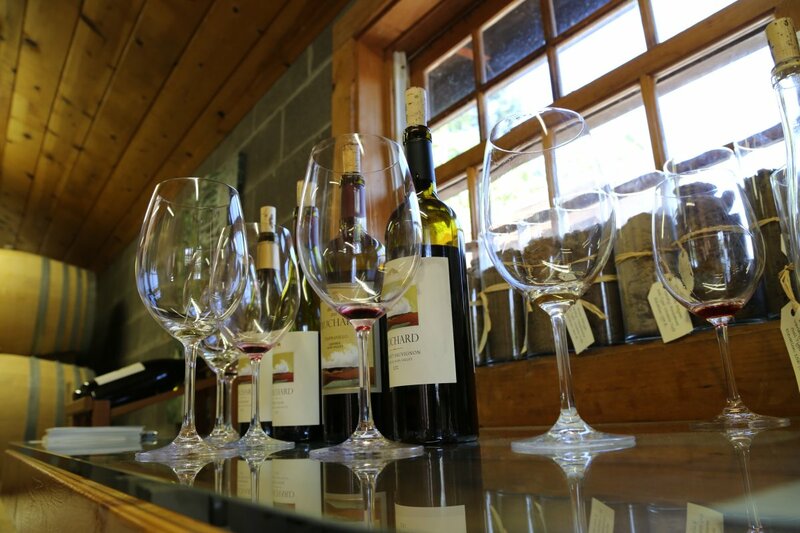 At the time of this review they produce more then 10 different wines – including some rare varietals for the Napa Valley including a Roussanne and a Tempranillo. 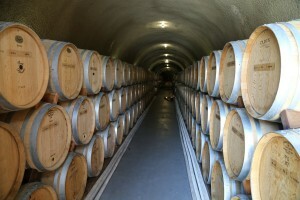 All grapes for their wines are estate grown. The 2013 Tempranillo initially shows a brooding bouquet with darker fruit aromas. As it breathes a sweetness of fruit shows along with notes of red licorice and brown chocolate and hints of toffee. A very pleasing mouth feel with tannins that are noticeable but not over bearing. Flavors of currant. Good acidity. This is a nice example of a cooler weather Tempranillo versus perhaps a warmer weather wine of this varietal where the tannins presumably would be much more robust in nature. Also lower in alcohol. Aged in 60% new American oak. The 2015 Chardonnay shows aromas of honeysuckle, red apple and hints of brown sugar. Rounded on the palate with fairly intense flavor for a wine of this varietal – shows flavors of apple and pear along with citrus. Decent acidity. Zinfandel in Carneros? 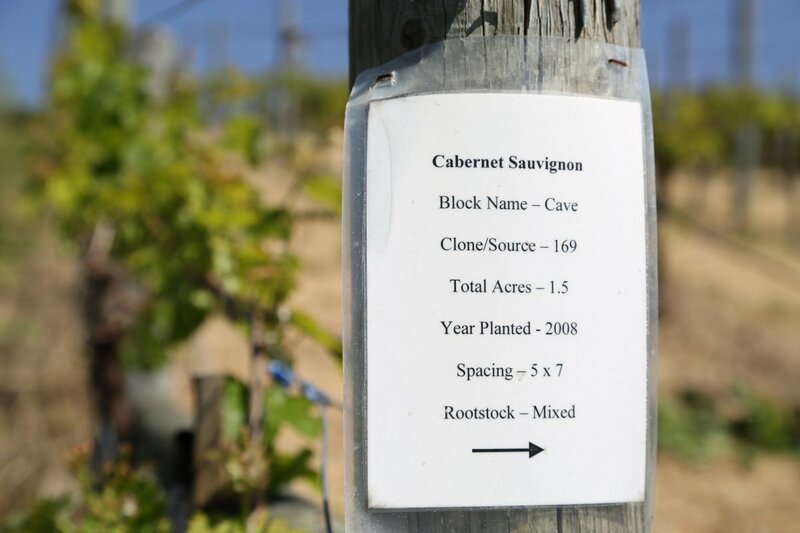 Now there is a varietal with a Napa appellation that you don’t often see used in the same sentence when referring to this cooler growing region mostly associated with Chardonnay and Pinot Noir. 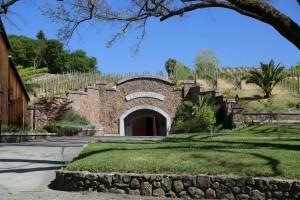 However Tuchard’s Zinfandel vineyard is grown in a small canyon fairly well sheltered from the cool winds that often blow in this area. 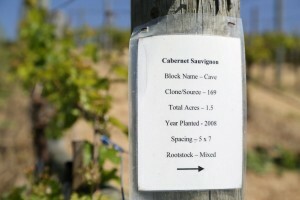 They have also grown Cabernet Sauvignon successfully on their property for over 30 years. South west facing more protected slopes are helpful in this regard. Their 2004 Cabernet Sauvignon has been blended with a bit of Cabernet Franc which adds a complexity of flavors and spices to the wine as well as a nice rounded smoothness and structure to the finish. NOTE: This review has been identified as needing a major update. 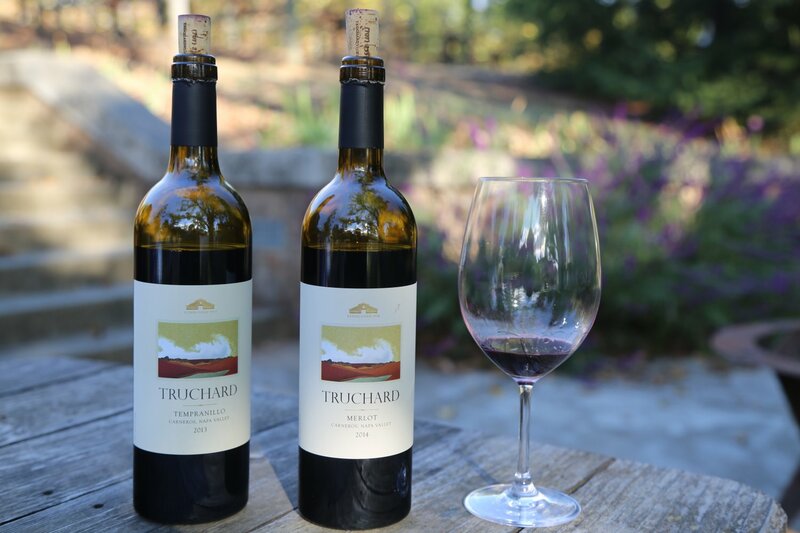 Truchard has been approved to expand their winery operations. 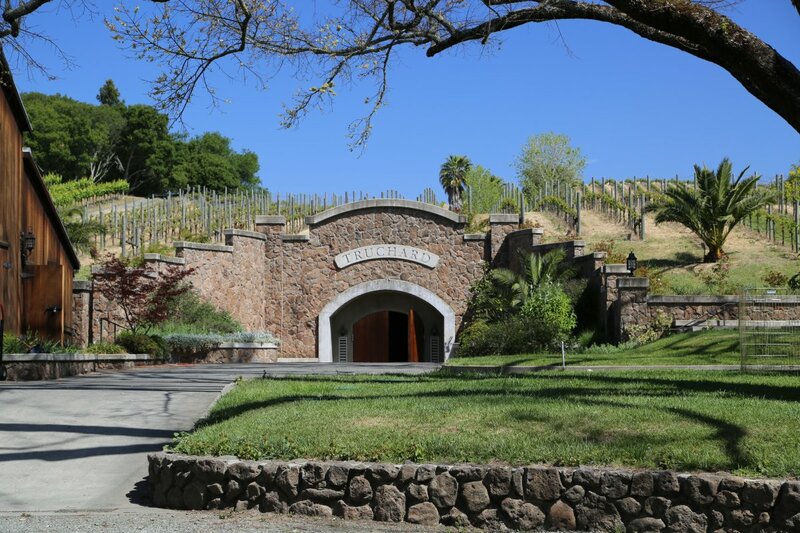 Plans call for building a new winery across Sonoma Ave (also on their property) with ground to be broken sometime in Spring 2019. 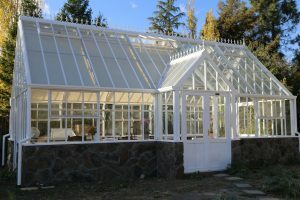 Once completed, tastings will be conducted here rather then at their current location. 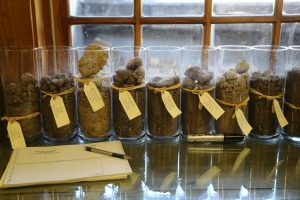 We will keep a close eye on the progress of their construction and will revisit and update this review accordingly once the new winery is completed.